Good morning, y’all! Hope your week is going well wherever you may be. Before we get to the card for today, I wanted to give you a a teaser on an upcoming Stampin’ Up! promotion for the month of June! When you hold a place an order or hold a workshop in June – and it can be an online workshop! – you’ll have the chance to earn extra Stampin’ Rewards! Hosts who have qualifying orders with $350 or more in sales during the promotion period will receive $35 in Extra Stampin’ Rewards for the order. I’ve put all the details over on the Stampin’ Up! Promotions page – so take a gander at them and get ready! It’s prefect timing with the kick-off of the new catalog! 🙂 And hey – join my Online Host Club – starting 1 June! – and perhaps your name will be drawn as the Host for June! See the deets on the club here or down below! Stampin’ Up! Watercolor Wishes and Birthday Blooms! No – they don’t deliver. But, it turns out that I am richly blessed with friends. The young engineer who I’ve been carpooling with these past few weeks came by and brought me lunch. When I said yesterday that I figured I’d spend the day vegging in my room and pass on lunch – he said “that’s great – you deserve a day of vegging.” So…that’s really sweet (unless it means I’m looking really haggard…. 🙂 ) of him. I didn’t expect him to bring lunch for me. What a lovely surprise that was – and surely reminds me that surrounding ourselves with people we care about – and who care about us – is one of the most important things in our lives. And makes every day richer, huh? I’ll tell you, this week is going by fast! And work is heating up – fixin’ to be doing some really long days. The kind that start at the hindquarter-crack-of-dawn! Yuk. Which means I’m really kind of regretting my days of….sloth!….of this past weekend! I usually, when I’m away like this and working long days, try to get all my cards for the week done on the weekend. Cuz I know I’m going to get back to the hotel in a state of brain-deadness; wanting nothing more than dinner, a shower and to veg out in front of the tv till I fall asleep! But – I must say, I can’t regret what I did on my days of sloth! Eating great food and browsing the historic district in Savannah on Saturday and stamping with a friend on Sunday! So, I’ll take it like a man…a WOman, that is!….and git ‘er done this week! Good Friday morning to you! This week has flown by! I had a great time in Huntsville this week. Well, the work part was….tedious….but the rest of it was awesome! I had lunch twice with my friend Matt – one of the very wonderful young men who I’ve told you about this past year. He’s living in Huntsville – his brother Chris is up at UGA at Vet School! I’m so darned proud of them both – couldn’t be more so if I’d birthed them myself. They’re growing into just outstanding human people!! 🙂 Matt and I had a really good time. Definitely something to look forward to for future visits there. Stampin’ Up! Cups & Kettle Birthday Blooms – and Blog Candy Winner! Happy Hawp Day! I’m especially glad that it’s Wednesday cuz that means I’m a day closer to heading home! Yeah!! We have a Blog Candy winner – check it out below…. 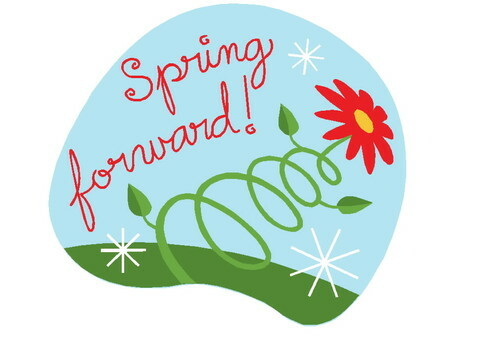 Mornin’, y’all – hope you remembered to spring forward! If not – go spring ’em. I’ll wait. I did not get as many cards done today as I’d planned. There was breakfast and laundry. And lunch. And the duck incident. Then a few hours of card making. Then dinner. Then the horses…. Oh – the duck incident! So, I’m making a card and I stand up to go to the Big Shot. Out the window, I see there’s just a heck of a commotion in the pond. I hurry into the kitchen to get my glasses so I have a half a shot of seeing what the heck is going on – and I see there’s two mallards just a fussin’ away. I mean – they were going at it! I ran out to the golf cart and raced around the house – and start hollerin’ at them – threw a rock…nothing. Okay, the rock didn’t go very far, but still. Normally, if you even look in their direction they’re gone. But not today. So, I raced back around the house and found Wayne and we went all the way out to the pond. That’s when we see that there’s also a hen. Apparently, the two males were interested in….well. You know. That poor hen – she kept going under the water to get away from them – that’s why we didn’t see her right off the bat. And she stayed there for a long time. Do ducks swim under water?!? She was finally able to get to the bank, where the two boys rather sheepishly joined her. They all spent quite a bit of time fluffing and preening and quacking at each other. And pretending that that hadn’t just happened. And then they all left. I have but one word. But my reaction to the two duck dudes doing what duck dudes have done since God made ducks….well, that’s why I don’t keep chickens. Or sheep. Or anything that can’t take pretty good care of itself. I get a little whack when that fighting and trying-to-kill-each-other crap goes on. Wayne might have been laughing at me just a little – to his credit he hid it well! Stampin’ Up! Awesomely Artistic What I Love Thanks! Good morning, y’all – it’s Thursday and that means it’s Happy Stampers Blog Hop Day! I’m sure happy that you’re taking time out of your busy day to stop by and see what we’re all up to this week! Today we had a color challenge – you’ve probably figured out that we alternate weeks: sketch-color-sketch… The color challenge for today was to use three colors that really complement each other perfectly!